In a five-day Design Sprint we aligned on a meaningful problem statement, ideated, prototyped, and user tested two new mobile first journeys that would simplify, engage, and emotionally connect new visitors to the user experience. The team focused on: personalization, visual enhancements, the brand story, and a redesign of their points of differentiation. As a part of the is process the team also co-created an inspiration wall to enable each other to think differently. The core customer base were described as busy women who want to save time and money, looking for an at home salon quality solution, and healthier, more natural alternatives to their current product. The team had two main challenges: how to leverage the digital experience to help overcome customer concerns and fears and how to engender trust and confidence in the recommendations provided after customers completed the online product advisor on their first visit. At the end of Day 1, the team was able to align on a core problem statement, identify a set of emotions and feelings to focus on, and lastly prototype and test two new web experiences. At the end of Day 5, the team was able to test their assumptions and received very clear directional data on what customers liked or disliked about the new experience they had prototyped, what they found helpful, what they need more of, and what points of differentiation did or did not resonate with them. The test also helped the leadership clarify some underlying assumptions they were planning to make on some big bets. The design sprint experience provided a fresh approach for reimagining what the digital experience could be and illuminated additional areas for the team to continue to iterate on and test before they invested in their final solution. In the weeks following the initial design sprint, the team continued to refine and iterate on the prototypes developed and test their assumptions as a part of their normal design process. The new mobile experience launch will be determined as the team completes the more thorough design and evaluation. The game changer for this design sprint was that they got started, they brought the right people together, they were able to agree to focus on a specific problem statement, and now had a clear direction to meet their success metrics. 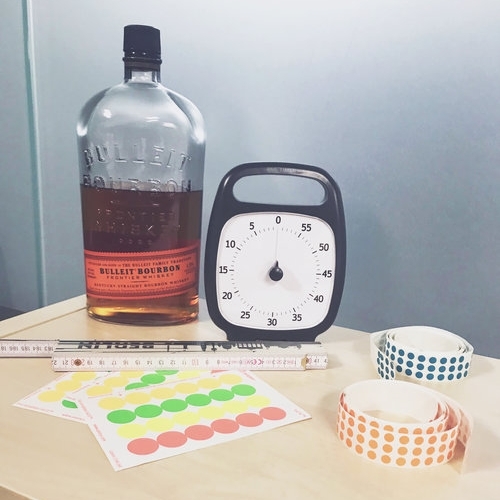 Bourbon + Time Timer = FUN Design Sprint! "The SIX did a great job facilitating. When you do a design sprint, you want somebody that knows what they’re doing, can control a group, has a lot of confidence in the process, and can manage people. It will not work if you do not have that trust." 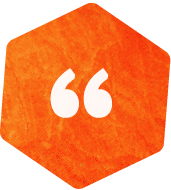 "They were actually able to provide ideas and insights. The SIX had much more knowledge of how the customers, site experience works, product, and how marketing works. They came with that background and that was a huge benefit for us." "We did so many things in one week. I didn’t even know it was possible to have such a turn around. We had so many great ideas and everybody got to ideate, brainstorm, and sketch together." "The SIX found opportunities to make sure that the leaders were being involved at the right place, really pushing the boundaries and making things more bold where they needed to be." "It was my first sprint ever and I was nervous about it. I felt like it was the first time my voice was really heard in a room full of executives. And that was really awesome, and empowering." "The SIX were great. They really encouraged us to push the envelope and to get out of our comfort zones. I thought there was a good balance of pushing us in some places and then pulling us back in others."